I feel extraordinarily tired, incredibly grimy, and I’m not convinced my legs work anymore. 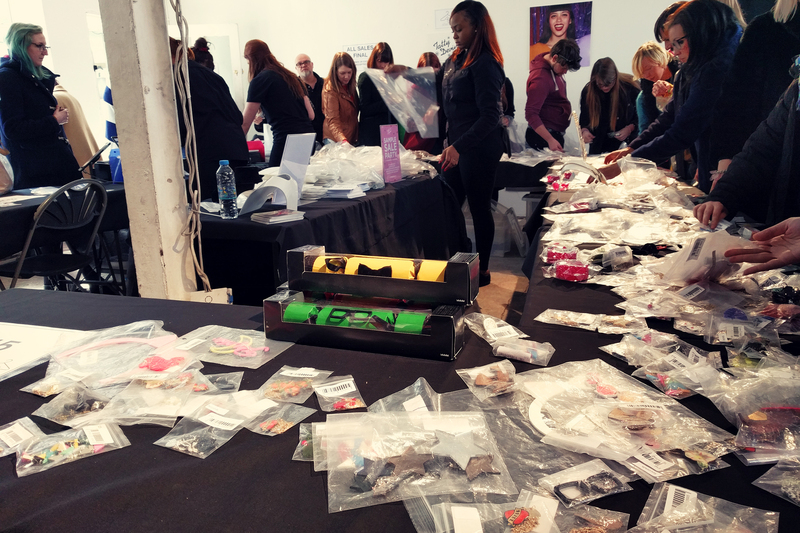 This morning, I queued for almost 3 1/2 hours for the Tatty Devine Sample Sale (and spent another hour crammed inside). 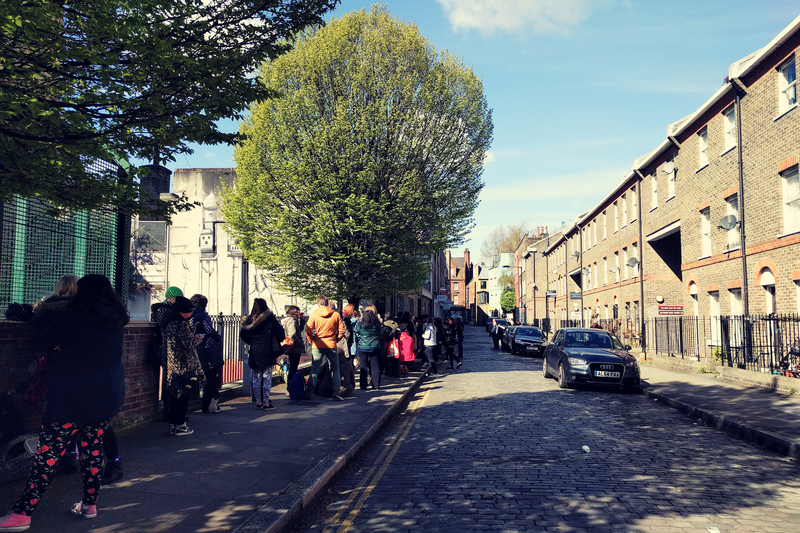 It was my first sale, and the first hosted not in the Brick Lane shop but around the corner at the Rag Factory which sounded a much better idea to me – I had read about the sale last year where people queued for a ridiculous amount of time as the shop was too small to fit more than a handful of people. So I thought I’d try my luck, get up early this morning, and try to grab myself some bargains. I knew I wanted a lobster of some kind, the tudor houses, a flamingo, and a tiny crown so those are ticked off my list. I wasn’t expecting there to be such a TINY adorable lobster – I spotted him across the table as I was queueing to pay and couldn’t quite believe how small he was. And how cute is the tiny parakeet as well. The little table was actually a freebie – I think they felt bad for keeping us in the queue for so long. A couple of the items were £30, a couple £20, then some £15 and £10. I could have spent a hell of a lot more. I didn’t get anything spectacular though, which I think I’m ok with as realistically I can only wear subtler pieces at work. As already mentioned, we queued for 3 1/2 hours – I got there at about 9.30am, it opened at 10.30 and we eventually got in a just after 1. It’s a shame that most of the statement pieces were long gone by then and one of the staff commented that some of the first people in hadn’t even left at that point as they were still protectively holed up in the corner of the room. I felt bad for the people who were after the more epic stuff. The actual event was run by aSample who did their best, but as someone next to me said, they didn’t know the stock and didn’t seem that interested or invested. Plus, their security guard kept getting in the way which was so annoying! As it was being run by ‘professionals’, I did kind of expect it to be better organised. Not that us lot left out queuing in the cold didn’t make our own fun. We all fell in love with a local resident who didn’t give a fig that there was a bunch of people queuing outside his house and kept bringing out more and more elaborate items and clothes into his front yard – two glitter scarves! An amazing kimono! Fake flowers which he shoved in the waistband of his turquoise jeans! A squash racquet!?!? We got in the way of a street art walking tour, after we’d figured out what the hell they were looking at in a crappy little yard off Heneage Street. Plus, there was a bit of a fangirl moment when Harriet and Rosie came out to chat to us (with Rosie’s adorable little baby). For a Tatty obsessive, that was pretty awesome. I met Sarah in the queue who kept chucking stuff my way as we went round, so I have her to thank for a few of the bits I bought. Now I’m going try to find a home for all my new pieces. And maybe cut up my debit card.